Problem: A single crown on the front tooth was too large and too white. The other teeth are rough and grey in colour. Solution: The old crown was replaced with a new one. The other five front teeth were treated with porcelain veneers. 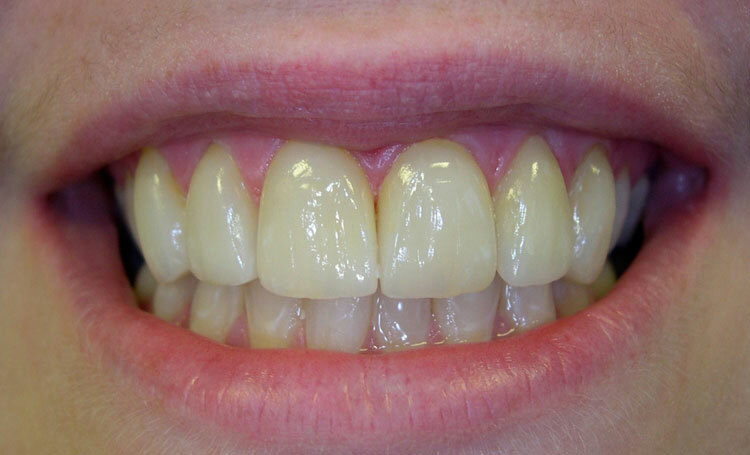 Problem: In this case, the client wanted to improve the colour and alignment of their front teeth. 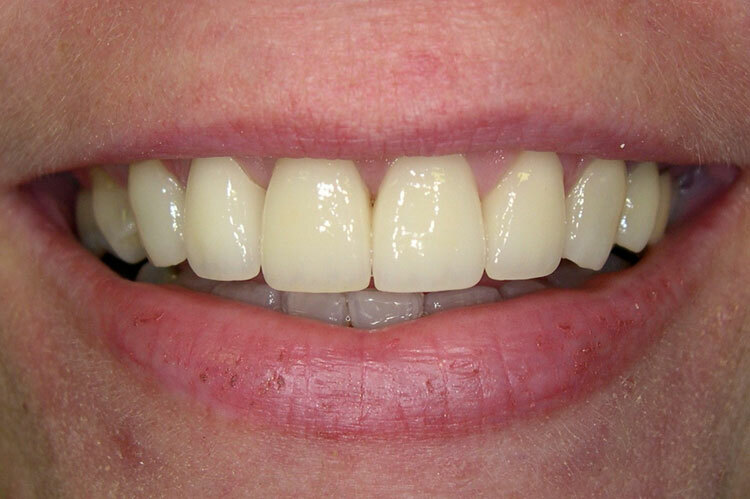 Solution: Seven porcelain veneers were placed which resulted in this amazing smile. 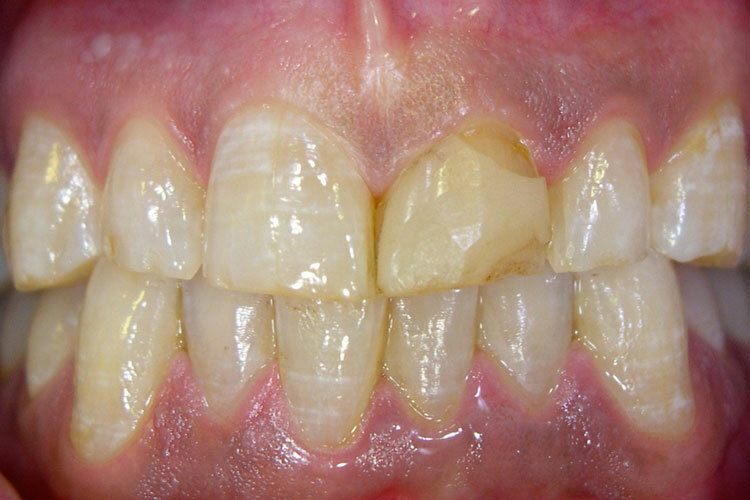 Problem: Composite filling material can be placed to fix imperfections. 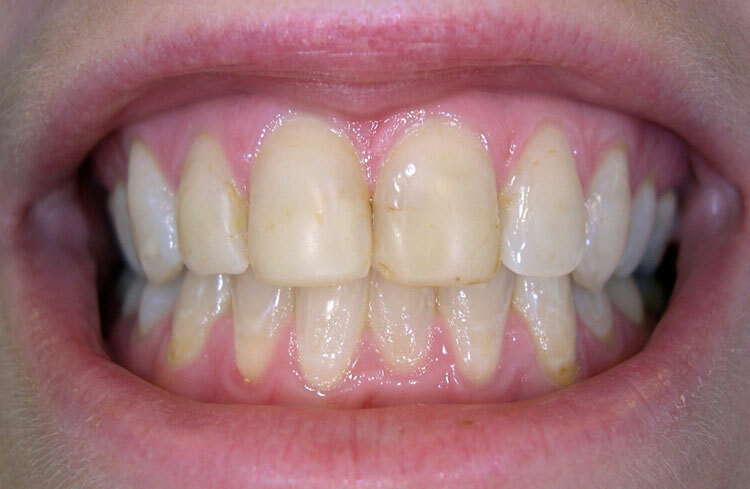 Unfortunately over time these fillings will chip and discolour. Solution: Porcelain veneers are the perfect solution! The colour and shape are customized so that you achieve the smile you have always wanted. 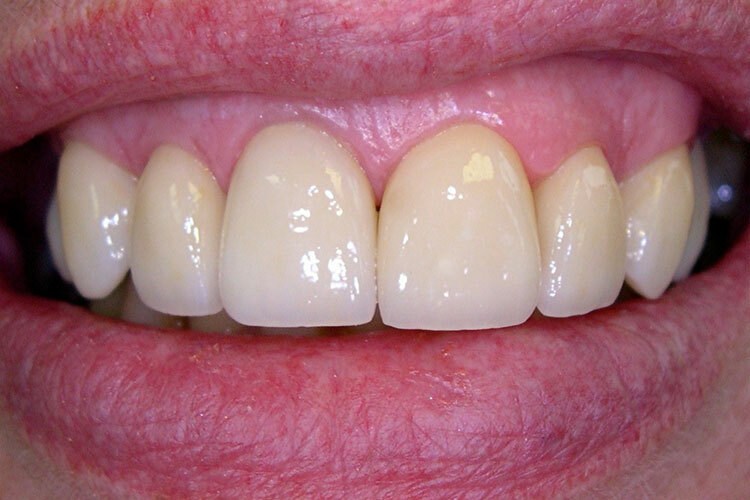 Problem: Sometimes a client can have one tooth that is discoloured or misshaped. Is it possible to restore one tooth and have it match the original teeth? 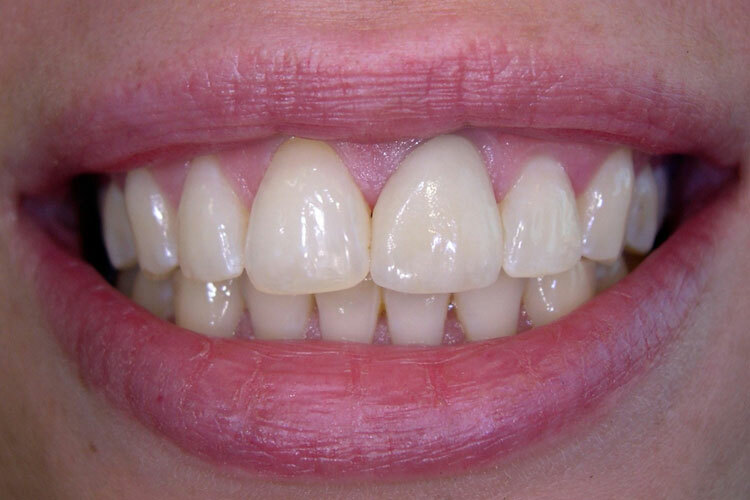 Solution: This picture is the perfect example of how this can be achieved through bonding one porcelain veneer. The result is so natural and seamless that it is virtually impossible to tell which one is the veneer. 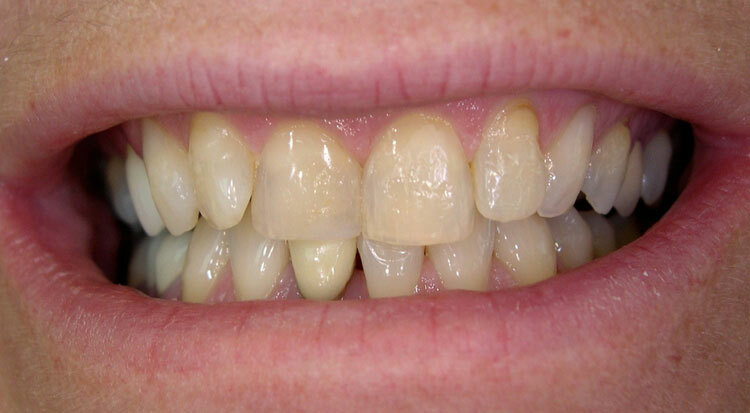 Problem: This is another example of a situation where a client was looking to transform their smile. Solution: Six porcelain veneers were placed on the front teeth. The colour and shape is perfect for this client. 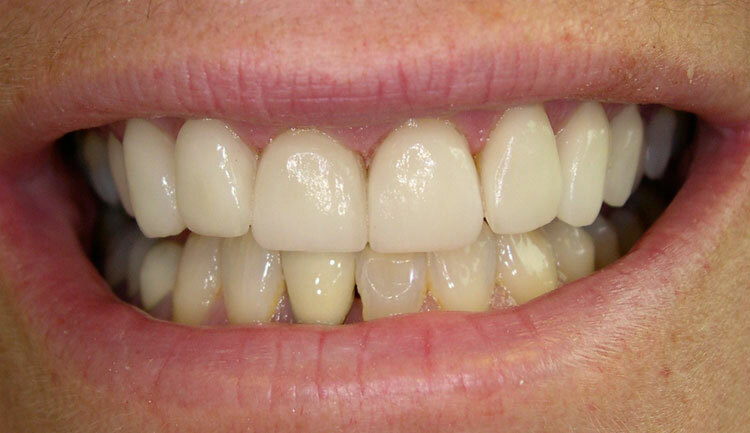 This transformation resulted in this client’s smile and confidence transcending to a new level. Problem: Every persons enamel colour is unique. 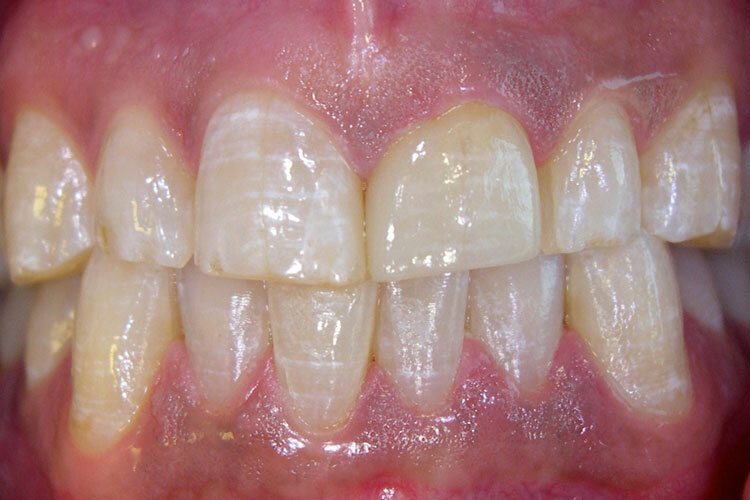 Duplicating enamel that varies in colour can sometimes be challenging. Solution: Custom veneers are the perfect solution. The colour can be customized even in more challenging cases like this.